We’re nearly there folks! The mountains are done for another year at Le Tour, and Froome’s grip on the yellow jersey is that bit stronger after Bardet and Uran couldn’t distance him on the Izoard. The final two stages, before the ceremonial crit in Paris, could still throw up a surprise, but it will take a huge effort. Bardet’s only real chance is to go on the attack tomorrow and use his team to force a break — which would be no mean feat against the might of Sky. Uran has the time trial to potentially overhaul Froome, a slightly more feasible but still tough ask. Stage 19 is also the longest stage in the 2017 Tour de France. Before the start, this was marked down as a sprint day. However, with the lack of fast men still in the race and the disinclination of their teams to chase, a break could fancy a final shot at glory. The majority of the stage will be contested along undulating roads, with a flat but technical finish. Barquil will not be concerned by the three cat 3 climbs on offer today; he sealed the KOM jersey a top of the Izoard on Stage 18, ad he may be out to work for his teammate, and winner of the Green jersey, Micheal Matthews. Matthews will be hunting a third stage win, and played a team role by denying the Frenchman rivals for KOM points in the breakaways. 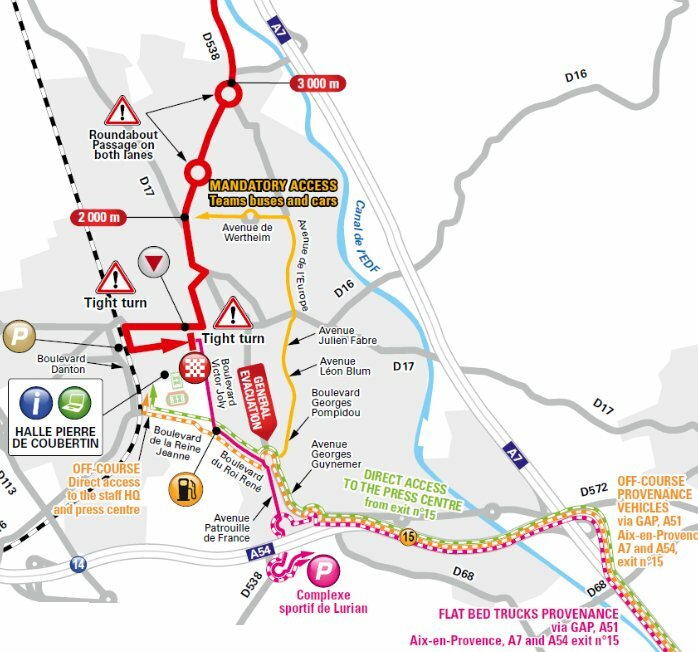 The finish into Salon-de-Provance is nasty, and perhaps we should be thankful that so many sprinters aren’t in the mix, as a bunch sprint would have seen the team’s train fight for positions around four incredibly angular turns within the final 2km. If a reduced bunch leads the way to the finish then we might be spared the potential of a mass pile up. Besides Matthews, the other favourites for a sprint will be Kristoff, Boasson Hagen, Degenkolb and Greipel. They also still have a chance in Paris, but will see this stage finish as a chance to be taken. The question will be if they try to join the morning break or put faith in the race being brought back together for a bunch sprint. We’re gunning for the former. Other breakaway contenders are… well, we could name around 50-odd riders who have all looked lively so far this Tour, but our three would be: Jens Keukeleire, who was up at the front for the finish on stage 16; Ben Swift, who has been a regular feature in the breakaway and still desperately needs a bit result for his new team; and Greg Van Avermaet, who has had to play a team role for most of this Tour and will want to try and come away from the race with something to smile about.